SEATTLE - Christopher Michael Davis, founder of the Davis Law Group, has been given top honors by being named a 2006 'Rising Star' by Washington Law & Politics (WLP) magazine. Davis, 39 (at the time the award was bestowed), practices primarily in Western Washington and his office is located in Bellevue and Seattle. He has been involved in several landmark legal cases during his distinguished 15-year career. 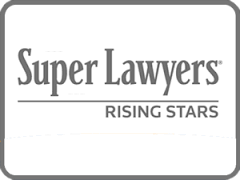 WLP's Super Lawyers directory is a listing of outstanding lawyers from more than 70 practice areas who have attained a high degree of peer recognition and professional achievement, and the Rising Stars recognizes outstanding attorneys 40 years old or younger. "I am honored that my peers would select me for this honor. I am humbled to be on a list with some of the finest attorneys in Washington State," Davis said. Note: Washington Law & Politics (WLP) magazine was later acquired by Super Lawyer Magazine.